There are many reasons why investing in self-storage facilities tops the list this year. Let’s take a look at a few. The self-storage sector has generated more than $22 billion in annual U.S. revenues. In a society of over-spenders, people need more space to store various items for various reasons. The recent recession caused many families to have to downsize. Naturally, they wanted to be able to keep most of their stuff. Storing the items in a self-storage facility is a great option for people downsizing. We become attached to our stuff. Self-storage facilities see more of a stable cash flow. Turnover is not a huge issue, as one would expect. Being that there are so many spaces available for rent, owners are less susceptible to big dips in vacancy rates. They are also very low-maintenance. One sweep and the spaces are ready for the next renter. A few more things to consider when looking into investing into self-storage facilities are better CAP rates, fewer tenant problems, lower maintenance, minimal utilities, and lower expenses. The neighborhood shopping center is one of the best investments right now. Shopping centers often have “credit” tenants because they have bond rated credit or have multiple locations, which usually results in more successful tenants and security of the centers income. The centers are also multi-tenant, which diversifies the income and most tenant leases have annual rent increases. 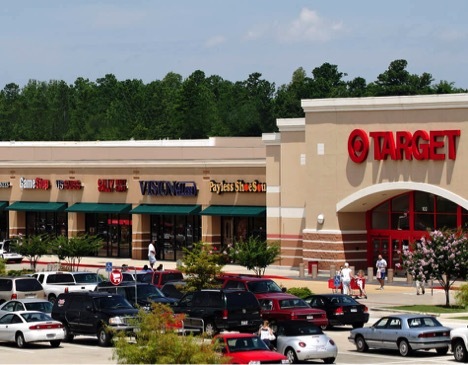 According to the recent ICSC report, the U.S. shopping center industry is meeting year-over-year growth in occupancy rates, rents and net operating income. By the end of Q4 in 2014, shopping center occupancy rates were 92.7 percent, the highest level since 2008. In today’s world where everything can be purchased online, one thing we can rely on is the fact that people still want to go to the grocery store and pick out their own food. This is one reason that grocery-anchored shopping centers continue to be a reliable investment. This type of housing growing exponentially every year and there is a guaranteed demand. According to the U.S. Census Bureau, seniors will represent 20 percent of the U.S. population by 2030. More than 500,000 people are expected to be age 65 and older each year, which could fuel the senior housing sector. And, there are options for investors looking into this sector of real estate. Senior housing is divided into four different types: independent living complexes, assisted living communities, skilled nursing facilities and continuing care retirement communities. Independent living complexes are much like any other multi-tenant apartment complex except that they are marketed solely to people in their golden years. Independent living centers make up the second smallest percentage of the senior market with about 10 percent of the share. The average monthly cost of independent living ranges from about $1,500 to $3,500. The largest share of the market goes to assisted living facilities. These types of facilities offer more services than independent living such as: laundry, food service, arranged activities, medical services, if needed, and on site drivers. These types of communities still offer a home-like feel and less institutional. The cost for a room in an assisted living facility is around $4,000 per month. Skilled nursing facilities are also referred to as nursing homes. They provide around-the-clock care for seniors who need in-depth medical attention. The average cost for a private room at a nursing facility is $6,000 a month. Experts warn investors that unless they have a background in healthcare, it may not be wise to take their first foray into senior living investing in this type of complete care environment. Continuing care retirement communities offer a mix of service levels including independent, assisted living and nursing home care all on one site. 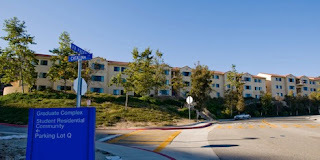 In recent years, student housing has had the ability to drive returns. The occupancy figures outperformed traditional multi-family apartments during the Great Recession. With more than 20 million students enrolled in a college or university in the United States, the projected growth by 2022 is expected to be around 24 million. Not to mention, we are seeing record numbers of international students coming to the U.S. to obtain their bachelors’ and advanced degrees. These factors, combined with funding strains for some institutions to have their on-campus housing, this has created a need for more off-campus properties. Prices for student housing properties are now comparable to the prices investors pay for apartment properties. And, although the properties that are within walking distance to the campuses are more valuable, the demand is still strong for the properties located a bus ride away from the school. We’re seeing cap rates as low as 5.5 percent for properties within walking distance of tier-one universities, and as low as 7.5 percent for properties a shuttle bus ride away from tier-two or tier-three schools. 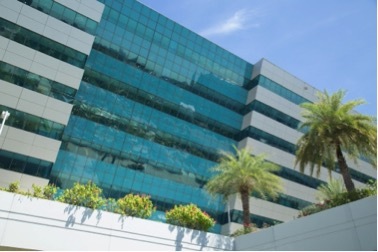 The office sector is predicted to perform well in 2016. Suburban office properties saw no growth for many years, while office buildings went through significant price increases. However, that trend is now reversing. In the world today people all around are changing their lives to become healthier human beings. But, that is not all that is catching in this the health crazed world. Yes, buildings can be healthy too! These six buildings are all pushing the green envelope and participating in programs such as LEED and WELL to do so. First, let me tell you a little about each of these programs. LEED, which stands for Leadership in Energy and Environmental Design is a green building certification program that is very popular and used around the world. Another program that was launched to bring health and wellness into the indoor environment is WELL. Let’s take a look at six of the healthiest buildings in the world. Owned and operated by Siemens, The Crystal is a sustainable development. The building uses solar power and ground source heat pumps to generate its own energy. 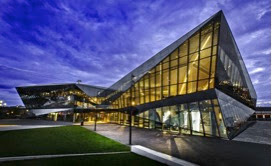 This building is the first to achieve the highest sustainable building accolades from two of the world’s leading accreditation programs, LEED and BREEAM. It is actually the most sustainable building in London. 181 Fremont is a 56-floor skyscraper in San Francisco, California. 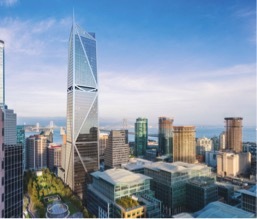 Once the building is omple, it will be the tallest mixed-use building in San Francisco. The building features a water reusing program that catches and reuses graywater and rainwater. It also has a glass curtain wall system that maximizes natural light. The tower will have the world’s first evacuation elevators. In an emergency, people will be instructed by signage to use the elevators and not the stairs. This is one building I would feel safe living in. Apple Park is the vision of the late Steve Jobs. His idea was to create a space for creativity and collaboration for the Apple team members. 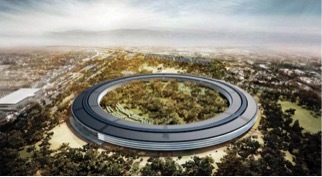 Apple Park sprawls out over 175 acres. The main building is a 2.8 million-square-foot building made entirely of panels of curved glass forming a ring shape. There will be a 1,000-seat theater, named after Mr. Jobs himself. The parklands has two miles of walking and running paths for employees, an orchard, meadow and pond within the ring’s interior grounds. The building itself is powered by 100 percent renewable energy. With 17 megawatts of rooftop solar, Apple Park is one of the largest on-site solar energy installations in the world. The building is also the world’s largest naturally ventilated building, requiring no heat or air conditioning for nine months out of the year. This “Twisting Tower” is a 128-story megatall skyscraper in Shanghai, China. 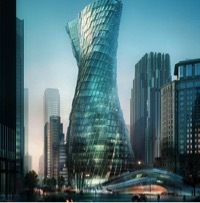 It is the tallest building in China and one of the most sustainable buildings in the world. One of the super cool features of the buiding is the double-skin façade technology that improves air quality while reducing the number of vertical trips each building occupant must make. There is also a parapet the collects rainwater which is used to heat and cool the tower. The building’s twisting form allows it to withstand typhoon-force winds which saved an estimated $58M in structural costs during construction. This 550,000 square foot building was built to LEED Gold specifications. A generator powered by natural gas provides 24-hour power for the data center, and overall the building uses 25 to 30 percent less energy than a standard building of its size. 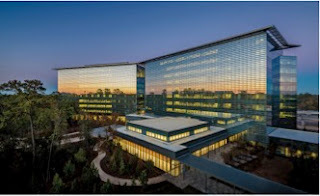 The building features a rainwater harvesting system, a high-performance unitized curtain wall system, shading fins and energy efficient HVAC system. Every detail is sustainable, down to the farm-to-table café and their natural gas fueling station. 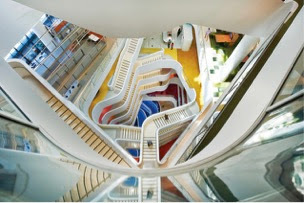 Medibank is Australia’s largest health insurer and in 2015 they opened their new headquarters after listening to what employees had to say about healthy work environments. This is what they took from all that they heard. Some features of their new space includes a sports court, edible gardens, demonstration kitchens all with a vibrant color scheme. The 495,000 square foot building has about 2,300 plants living inside and about 10% of the walls are covered with plants. There are 26 different work settings in the 24-story building. This is one of the many buildings I would want to see!